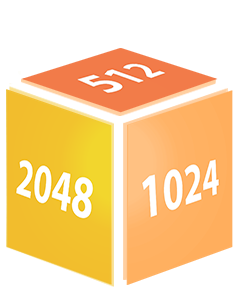 2048 is played on a gray 4x4 grid with numbered tiles that slide smoothly when the player moves them through the arrows or through the W, A, S, D keys. After each move, a new tile appears in one of the empty spaces, with value being 2 or 4. The tiles slide as far as possible in the specified direction until they stop in another tile or edge of the grid. If two tiles of the same value collide during the movement, they will merge into one tile with the sum of the sum of the two tiles that have collapsed. The resulting tile can not merge with another tile during the same move. 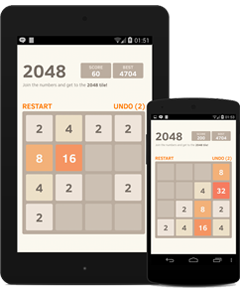 The 2048 is a game compatible with all types of modern devices, including mobile phones, tablets and computers. The game can be played on a touch screen by dragging the tiles of the direction you want to go.